Utilizing the current version of LBNL’s THERM and WINDOW software programs, we provide Thermal Analysis & Design of curtain wall and exterior cladding systems. Many Specification Sections require computer simulation of enclosure systems in accordance with NFRC guidelines. We can prepare thermal computer simulations of designs and products for project applications. 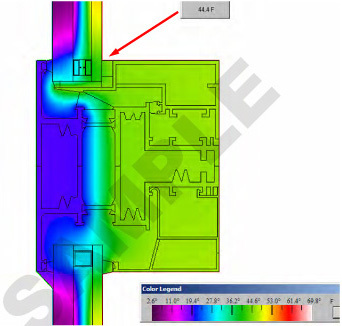 We offer Therm Analysis as a comprehensive or standalone service. Adjacent substrates can be included in the modeling to show suitability and/or deficiency in the Architect’s details.